The rate at which airlines mishandled bags in 2015 dropped 10%, according to a report released by air transport information technology company SITA. The rate of 6.5 mishandled bags per 1,000 passengers was also the lowest since SITA began tracking mishandled bags in 2003. The company attributed the improvement to technology upgrades being installed by airlines as they prepare to comply with an IATA mandate that by 2018 they are able to track each bag step-by-step from the checkpoint to its destination. According to the analysis, called “The Baggage Report,” airlines mishandled 23.1 million bags last year, down from 24.1 million in 2014 despite a worldwide passenger increase of 218 million. 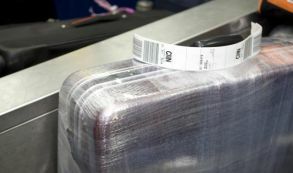 The number of mishandled bags was down 50% last year from the record high of 46.9 million in 2007, according to SITA. Of the bags that were mishandled, 79% were delayed, 15% were damaged or pilfered and 6% were lost or stolen. The average time it took to get mishandled bags to their owners was 1.76 days.